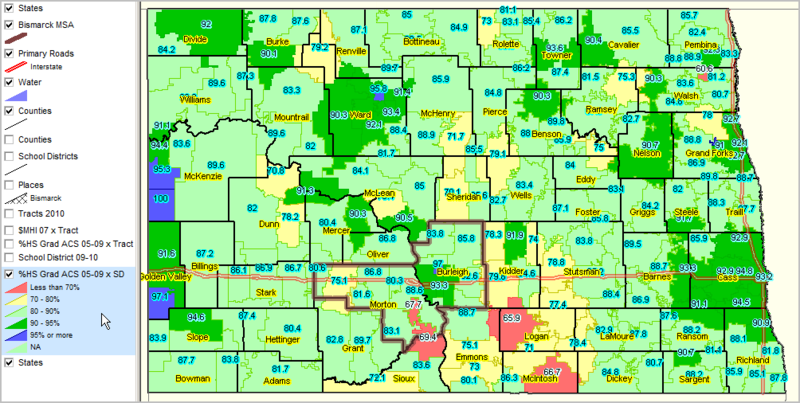 Selected CV XE GIS project/application views in North Dakota. This section is focused on integrating S&O digital map files, Census 2010 demographics, ACS demographics and related data. Bismarck MSA shown with bold boundary.